Although we have seen the same characters being retained for the Dabangg franchise, the film underwent changes behind the camera when the sequel hit the silver screen. Now yet again, a new filmmaker has been roped in for the third installment and it is none other than Prabhu Dheva. 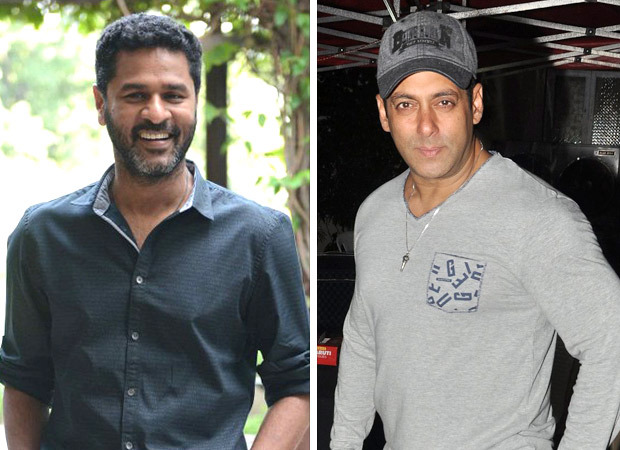 While we will be more than happy to see the Wanted team at work [for those who came in late, Wanted starring Salman Khan was directed by Prabhu Dheva], we are yet to receive further details on the same. For the past one year, there have been several speculations about Dabangg 3. Earlier, with the constant reports doing the rounds about Arbaaz directing the same, Salman Khan had to come out to clarify that the news was untrue. There were further reports last year which claimed that Salman Khan has already started shooting for the film, when pictures of his cop avatar started doing the rounds on social media. However, it was only recently, the director for the third film in the franchise has been finalized. On the other hand, yet another rumour doing the rounds was the change in the leading lady which it was being said was not Sonakshi Sinha. However, when confronted the actress, she maintained that she was unaware of any such detail. Let us also tell you that both the films in the franchise were directed by two different directors, wherein, the two installments were directed by Abhinav Kashyap and Arbaaz Khan respectively. As of now, it is yet to be known when Salman Khan will kick start the shoot of the film since the superstar is already busy with other commitments.